Chemical Engineers are the fancy people who work wearing the white coats in the scientific laboratories carrying out the experiments, though majority time it depends on the job profile yet many do get this kind of opportunities. They are the ones who have numerous job variations with each functionality being different from the other one. They can design raw ideas for various products as well the process for making those products is developed by them only. They need themselves to be upgraded with the advance in technology which keeps discovering now and then in their chemical field. They need to update the old chemicals by either doing modification by adding some amount of new chemical or by completely changing the old chemical replacing it with the one which has recently come into the market. 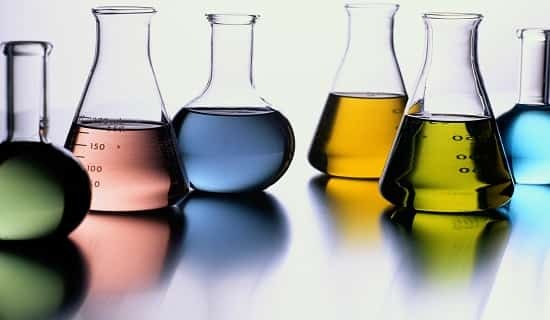 The Chemical Engineering works somewhat on the principles of transforming different states into one another and this transformation is done by the Chemical Engineers with the help of various chemical reactions in the chemical laboratories.,e.g.chemical to biochemical and vice versa, biochemical to physical state. This interstate transformation is smartly done by the chemical engineers. These states are transformed further into the substance. In the field of Chemical Engineering, Chemical Engineers are usually called as the Process Engineers because of the responsibility on their shoulder which is to keep developing the new products beneficial to the market when compared to existing products and for that they need to continually design new ideas or refresh the old ones with the existing technology. The core work in the Chemical Engineering is to transform raw materials into domestically useful and industrially helpful products which are economic and safe to use being environment friendly. The working areas of a chemical engineer are: Energy, drinking and food material, fertilizer, textile, cosmetics, toiletries, pharmaceuticals, gas, plastics, oil-refineries, nanotechnology, paper manufacturing. To work with chemist and the control engineers. Easy equipment configuration within the cost premises of the product. To test Product prior installation and configuration. To be called as a Chemical Engineer, one should possess B.Eng degree or a B.Tech in chemical/process engineering. Pursuing the masters in the Chemical Engineering having the thought of post-graduation can be of great importance and will prove to be valuable with the pass of time and rise of job designation. You can apply for the M.Sc postgraduate degree in chemical or process engineering even if you have degree from any other engineering field or some field related to Chemical Engineering like polymer science or Bachelors of Science in Chemistry. Develop methods to deal with by-products and waste materials in environmentally-friendly way. This includes the workplace diversity being either office/cabin or the plants (which can be big or small) . The laboratory can also be one of the options of the work place where the test are carried out. Office Work is safe and environment friendly compared to the laboratories or the plant where one has to be careful about his/her health and body. The basic of mathematics, science of chemistry and physics has to be strong. Aware about the technical knowledge of the existing technologies. It is beneficiary if one has knowledge about Microsoft office. Managerial ability must be there in terms of planning and organizing. Big scale project and products needs to be managed under the optimized budget maintaining the quality. Good leadership and Experience in team working. Commercial competence needs to be deal with the efficiency of not suffering loss. A Chemical Engineer should have sharp academics with great knowledge from all the diversifies areas including management. The salary range in Bangalore is usually from Rs Rs 245,109 – Rs 1,526,047. The Chemical Engineers are paid approximately from Rs 136,129 – Rs 1,243,758. Chemical Engineering jobs in Bangalore will never face scarcity due to the constant growth and demand of the field. Chennai is not the only job Hub of Tamil Nadu but it provides an attractive salary range from Rs Rs 278,760 – Rs 954,974, which makes it worth seeking job. There are various opportunities in this region for both male and female including fresher’s as well as experienced. Chemical Engineers are paid hefty in the Hyderabad where there salary is between Rs 232,788 – Rs 1,095,000. There is lot of upcoming opportunities in this region of Andhra Pradesh as well.The approximate salary for the designation of the Project Engineer is around Rs 270,000 – Rs 305,209 in this zone. The fresher’s have equal chance of grabbing the position as the availability of jobs is more compared to the demand. Maharashtra as whole offers various job opportunities but majority of which summarizes within the Pune and Mumbai. The salary range is Rs 394,331 – Rs 1,650,827 for the Chemical Engineer’s. The Chemical Engineering jobs are lined up in numbers in Pune if you search for one. The opportunity to rise increases with the increasing job numbers. The Chemical Engineer is paid Rs 136,129 – Rs 1,243,758 in Pune and Rs 281,875 – Rs 1,322,574 in Mumbai. The approximate salary of a Production Engineer in Mumbai Rs 271,207 – Rs 993,645. The fresher’s have high chance of grabbing a job as there is lot of vacancies in different companies. Not much but little gender variation is visible in the Chemical Engineering with the statistics depicting 12% female’s and 88% male! The salary in Chemical Engineering for the female usually ranges between Rs 100,200 – Rs 834,955 whereas for the male the salary scale lies between Rs 242,660 – Rs 1,226,041, initially being low for a fresher and gradually increasing with the experience.